Criteo, the advertising platform for the open Internet, reveals that despite growing awareness of Customer Lifetime Value (CLV), a lack of digital skills, customer data, and organisational silos are holding back its use as an actionable business metric. In its 2019 report, Is ROI dead? 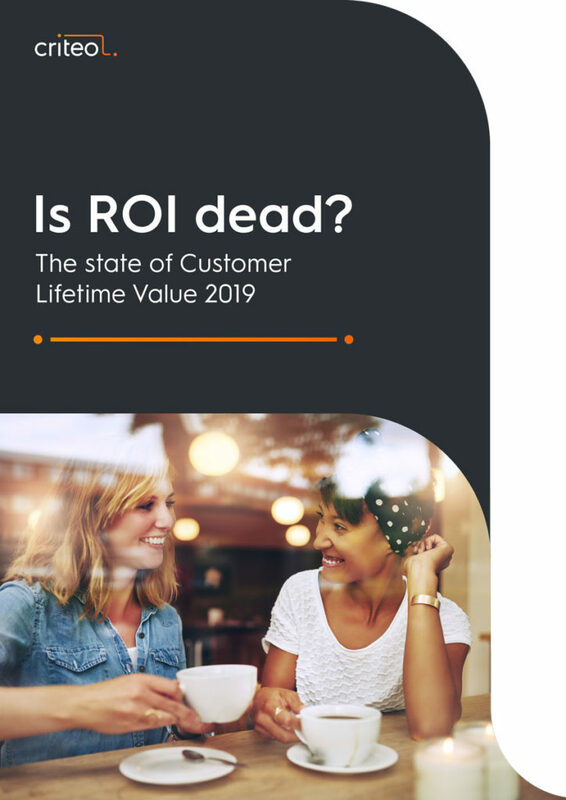 The state of Customer Lifetime Value 2019, Criteo benchmarks CLV awareness and adoption over the last 12 months. The study reveals a significant increase in marketers who have a high awareness of CLV (43% in 2019 vs. 34% in our 2018 survey) and in organisational efforts to monitor CLV (32% vs 24%). “The adoption of CLV reflects an important shift in the way businesses look at customer relationships, from short-term profits to long-term sustainable relationship. The truth is, for many marketers, ROI is no longer fit for purpose. The study shows that the industry is looking for a more sophisticated metric that gives businesses a deeper understanding of their customer relationships and their value over time,” says Elizabeth Brennan, Director Account Strategy & Sales, UK, Criteo. 52% said they were using ‘predictive CLV’, i.e. a projection of how much revenue a customer will generate for a business over the course of the customer relationship, while 47.9% were using ‘historic CLV’, i.e. the sum of all profits from a customer’s past purchases. Organisations mainly saw benefits of monitoring CLV in increasing customer retention (64%), gaining more sales (59%), encouraging greater brand loyalty (58%) and improving personalisation (47%). In terms of what a business’ CLV strategy is monitoring, the research identified bringing customer records together to create a view of their journey (37%), measuring profit at each point (29%) and identifying moments where value is created (19%) as the main areas of focus.